Insurance is not included in the tour price. Credit cards are not accepted. Reservation one day in advance is requested. Tour guide Takashi reconfirms your application. Pay in cash of JPY . Customers are requested to pay the guide cost in cash at the end of the guide service. (2) name of your country (3) number of participants (4) desired tour date (5) name of your hotel at Kanazawa. Sakuda gold leaf workshop - Higashi chaya entertainment district - Kenrokuen garden - Kanazawa castle park - Nagamachi Samurai residence district Nomura-ke garden - Omicho market. 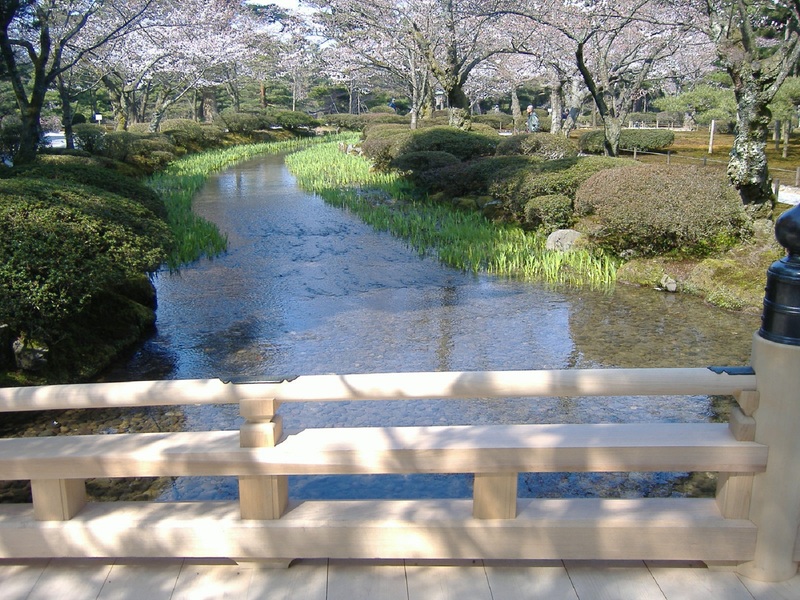 One day loop bus fare/person \500, Admission fee/person for Kenrokuen garden: \310. Nomura-ke garden:\550. Shima-Geisha house \500. Lunch and personal expenses are not included. Costumers are requested to pay guide's lunch. Tour starts at 9:00a.m. and ends at 5:00p.m. We will meet at your hotel lobby in Kanazawa. Meeting time and place can be arranged based on negotiation. Tour ends at your hotel, or another agreed upon location. 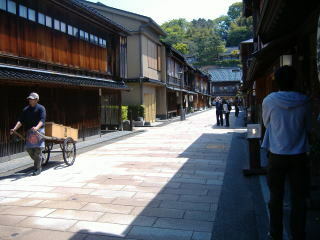 During the Edo period(1603-1867),Kanazawa flourished as a castle town of the Kaga Clan. The lord Maeda,the second biggest after the Tokugawa shogunate, ruled the Kaga Domain for almost 300 years. 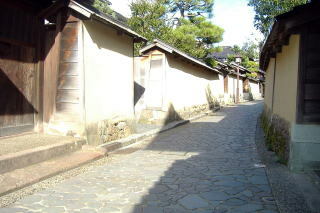 Many traditional arts and crafts developed and flourished under the sponsorship and encouragement of the Maeda ruling. Even now, lots of historic sites,and arts and crafts worth visiting remain here.They are Kenrokuen garden,Kanazawa castle enclosure,pottery,lacquer-ware,gold leaf,Yuzen silk dyeing. Kanazawa is a gastronomic city,too. 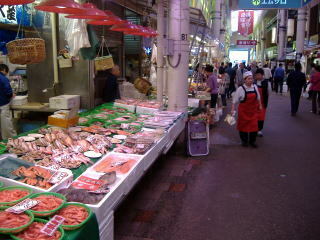 The dishes, which are made from fresh fish landed from the Japan Sea and locally produced vegetables, taste very good.